Now they looking for another new KING. Who Want To Be King Of Bukit Putus Charity Challenge???? 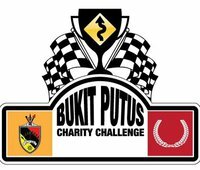 Bukit Putus Charity Challenge (BPCC) is a time attack competition going uphill of Bukit Putus, Senawang with 33 turns that demands professional drivers in maneuvering and taking the hills. ‘Tougeing’ to the top of the hill is not just mere challenge. All skills such as drifting and sharp turns are much needed in finishing the finish line in the quickest time. The first BPCC in 2011 has brought in a huge success and its about time to search for another King of The hill of 2012.
hehe that depend on discussion with MTN Council. Still early to..